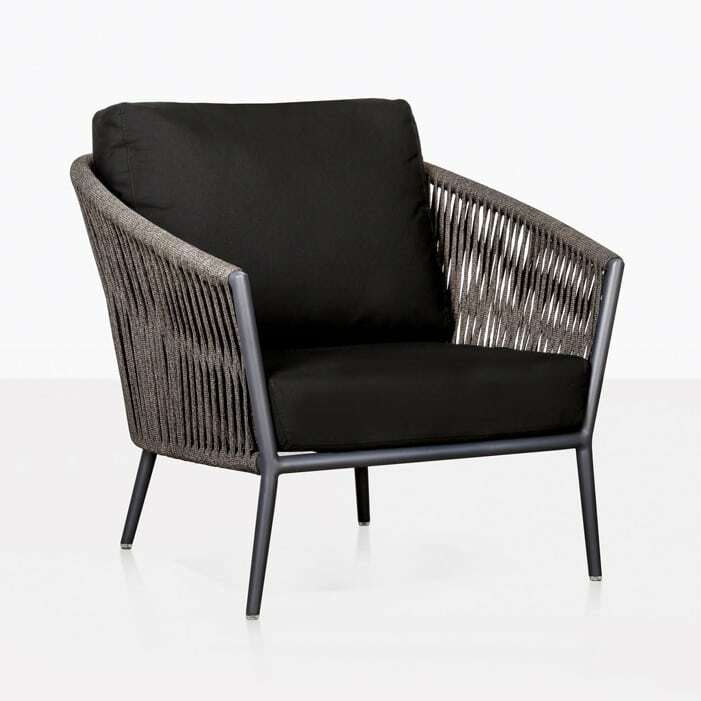 Modern in style, ample in size and fabulous in comfort; the Washington Rope Outdoor Club Chair is a polished piece of furniture waiting to make its mark in your space. Whether you’re seeking a single chair or part of a greater set, we know the Washington Outdoor Club Chair will make waves wherever it is placed! Washington has become one of our most popular outdoor collections for good reason. Boasting the Club Chair, 3 Seater Sofa, 2 Seater Loveseat, Dining Chair and Bar Stool, this 5-piece patio set is the epitome of modern elegance. 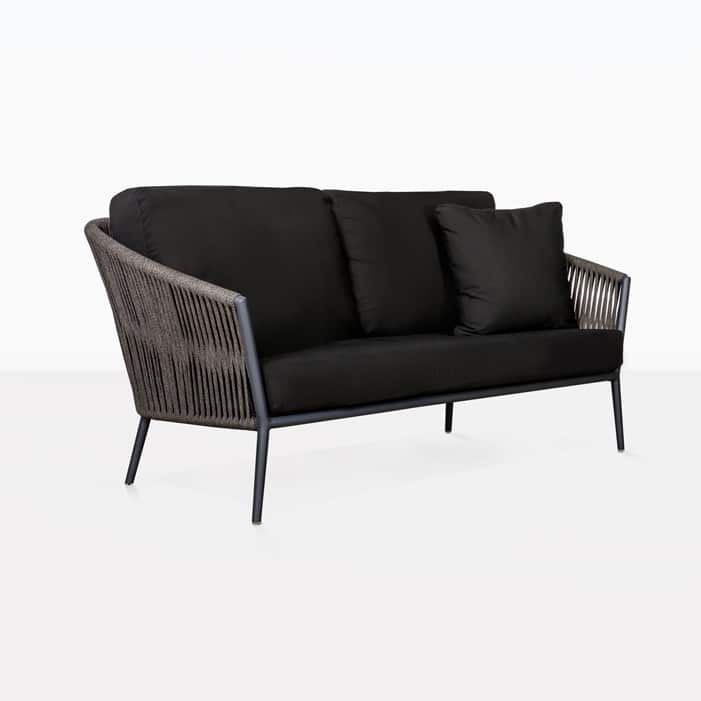 The polished design is a nod to the mid-century furniture frameworks with its wide frame and curved arms, while the materials and individual detailing make it satisfyingly crisp and modern to the eye. 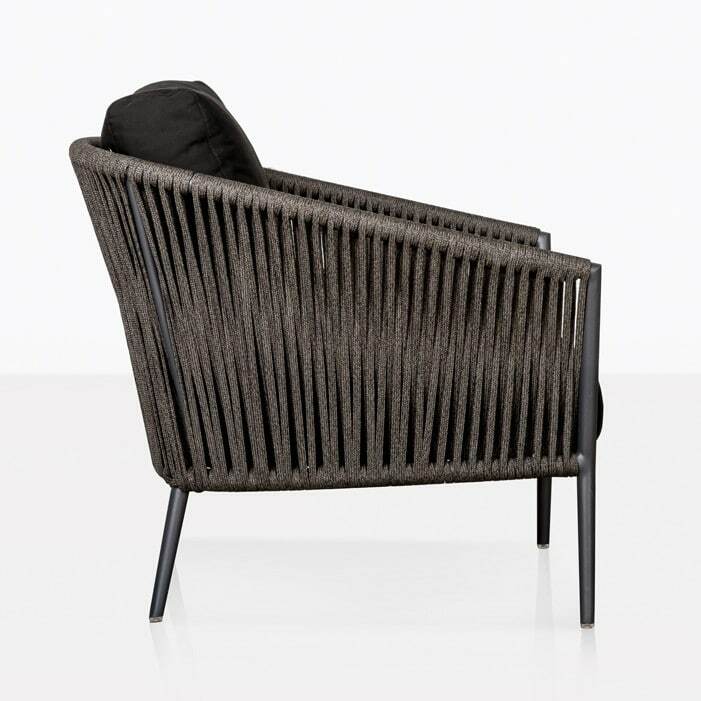 Liven up your outdoor space with the Washington Club Chair. Perhaps your balcony has room for a couple of chairs and a table. Galvanize the space by adding in something that is pleasing to the eye and exceedingly comfortable with two Club Chairs from the Washington Collection, and perhaps a raw concrete side table to top off an already superb look. 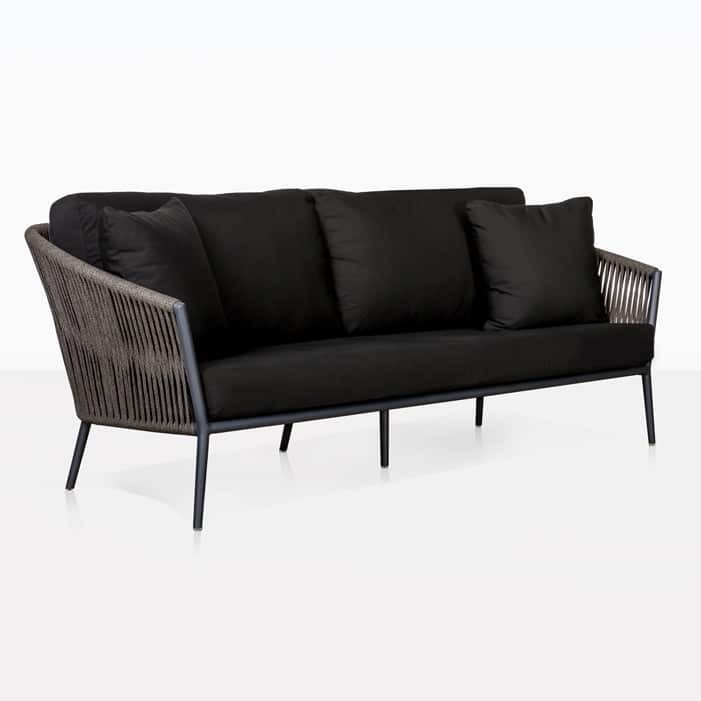 This is the ideal piece to land in a patio or garden area, on either side of the glorious Washington 3 Seater. You and your guests will be delighted with how comfortable and at ease you will feel in these exquisite pieces of glorious patio furniture. Perhaps you’ve got a wee nook ideal for one outdoor chair, just for you? Our Washington Club Chair is the perfect piece to tuck yourself into with a great book and relax the day away. Each piece from the Washington Outdoor Collection is built on the strength of the outdoor materials that Design Warehouse is known for. 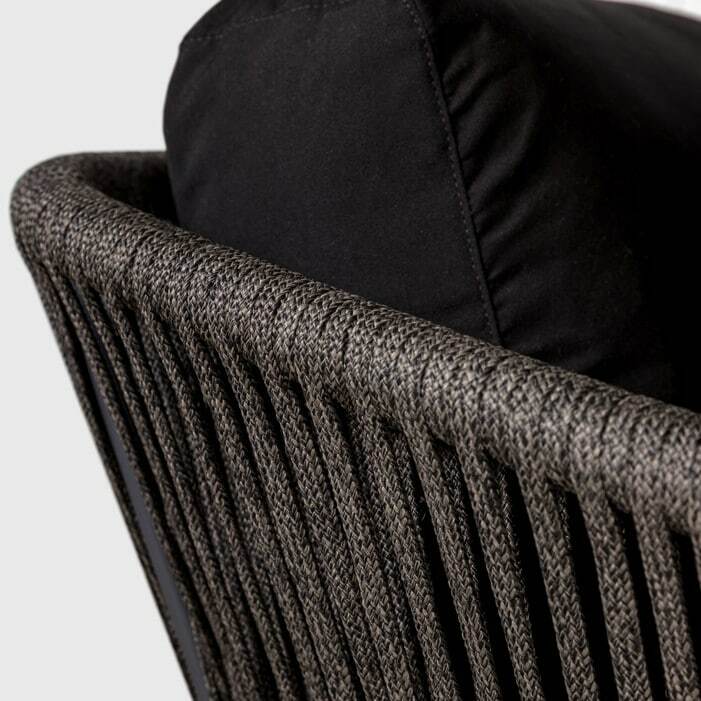 The frame is a beautiful charcoal coloured powder coated aluminum, while the rope is Italian polypropylene and the plump cushioning courtesy of Sunbrella® fabric filled with QuickDry® foam. You can’t ask for better than for this terrific blend of quality and style! And it is with these assurances that we can tell you that these pieces will survive the elements, continuing to look fabulous year after year with very limited maintenance. 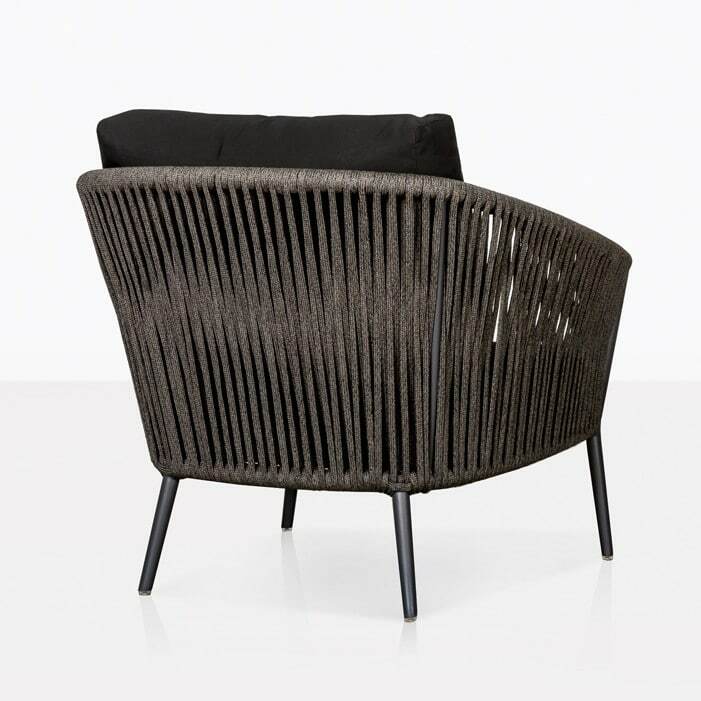 The Washington Club Chair is the best choice for better outdoor living. Buy the Washington Club Chair today and soak up the comfort and satisfaction of a sophisticated and modern style. You deserve it.